Pop singer Lance Bass who is also a former member of the N Sync band has been in the news quite a few times in the last few months. Towards the end of last year, he announced his intention of bringing out his own solo track. His single, Walking on Air, caught on with his fans. However, this time around, Lance Bass is in the news for a different reason altogether, and his fans may be surprised to note that he is giving his voice to a non-music cause. Bass has lent his support to the Obamacare program and has even visited the White House to discuss how to pump up the program. Many Americans have been taken aback by this move considering this 2,000 page debacle was passed without even the politicians who voted for it reading it. In fact, the President has to violate the constitution (an impeachable offense) repeatedly, to alter certain sections of it, because this bill is so bad. 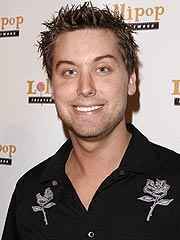 Why does Obamacare need Endorsement from Lance Bass? Obamacare, it seems, has failed to meet its much-touted goal of encouraging more millennials to sign up for the program. White House officials were recently forced to concede that the Obamacare program has drastically fallen short of its primary objective of making millennials enroll for healthcare plans. In fact, one goal of the Obamacare program was to have millennials constitute 40 percent of the enrollees. Right now, they make up only a paltry 27 percent of the enrollees. Millions of Americans who do not believe in European socialism believe this is hilarious and a bright sign for America. Now that the program is perceived to be floundering, it is not surprising that the White House will look to popular public personalities to endorse the program and woo the millennials. And what can be a more effective way of attracting the 18-34-year-old demographic group than to ask pop singer Lance Bass to voice his support for Obamacare? How many millennials know that Obamacare is costing many people their insurance plans? How many millennials know that Obamacare know that when they graduate from college their job prospects will be and are mitigated because of Obamacare? How many millennials know that Obamacare is drastically increasing America’s debt? How many millennials know that Obamacare is increasing their taxes so they can pay for thousands of Americans who want to live off the system and have little to any sense of personal responsibility? Not many fans of Lance Bass know that the pop singer had founded a non-profit organization back in 2001 to make healthcare accessible to children from low-income families. So his interest in making healthcare affordable to every American is evident even though health care has always been available for every American and Obamacare is making hard working Americans not have access to healthcare for the sake of the people who do not care to work at all. In fact, this is probably another reason that has prompted White House officials to ask for his support because they are desperate. The central planners, according to insiders, in Washington who believe the government always has the answer passed a terrible bill. Lance Bass did not delay in coming to the aid of Obamacare. In fact, he was so eager to show his support that he tweeted the URL of the Obamacare website wrong. He wrote “HealthCare.org” instead of “HealthCare.gov.” He deleted his tweet and was quite embarrassed. Many Republicans told Bass not to worry; the website does not work anyway they said.